Alpen-Adria-Universität Klagenfurt provides no guarantee for the information provided being up-to-date, correct or complete, or for its quality. All liability claims against the web team or Alpen-Adria-Universität Klagenfurt based on the use or non-use of the information provided, or the use of incorrect and incomplete information, are excluded as a matter of principle. All offerings are without obligation and non-binding.  Alpen-Adria-Universität Klagenfurt explicitly reserves the right to change, supplement, delete or temporarily or finally cease publication of parts of the pages or the entire offering without special notification. Direct or indirect references to third party websites (‘links’) are outside of the responsibility of Alpen-Adria-Universität Klagenfurt, meaning that it cannot be held responsible for them. However, it is stated that at the time the link was created the corresponding linked pages were free from illegal content. Alpen-Adria-Universität Klagenfurt has no influence on the current and future layout and on the content of the referenced/linked pages. It therefore hereby explicitly distances itself from all content of all referenced/linked pages which are changed after the link is created. This applies for all links and references provided within its own online content and for third party entries in guest books, discussion forums and mailing lists set up by Alpen-Adria-Universität Klagenfurt. The provider of the page which was referred to, and not the party who merely refers to the relevant publication via links, shall be solely liable for illegal, incorrect or incomplete content and in particular for losses caused by the use or non-use of information presented in this way. Alpen-Adria-Universität Klagenfurt observes the copyrights for the graphics, photographs, audio files, video clips and texts in all publications. It mainly uses graphics, audio files, video clips and texts which it has produced itself, or tries to use licence-free graphics, photographs, audio files, video clips and texts. All trademarks and brand names used within the online offering which may be protected by third parties are subject, without restriction, to the regulations of the relevant valid trademark law and the ownership rights of the relevant registered owner. It should not be assumed, due to the mere mention of a name, that trademarks are not protected by third party rights. The copyright for published objects (graphics, photographs, audio files, video clips and texts) created by Alpen-Adria-Universität Klagenfurt itself shall remain solely with Alpen-Adria-Universität Klagenfurt. Any duplication, exploitation, amendment or other use of these objects, in any form and manner, is not permitted without the explicit consent of Alpen-Adria-Universität Klagenfurt. This disclaimer is an integral part of the internet offering and applies for all users. If parts or individual phrases of this text do not, no longer or do not fully correspond to the valid legal situation, this shall not affect the remaining parts of the document in terms of their content and their validity. 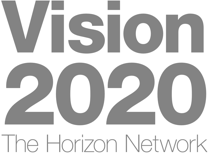 The present disclaimer text is based on the free service of http://www.disclaimer.de and has been adjusted to the needs of Alpen-Adria-Universität Klagenfurt.